Now that his stint in the Teen Titans is over, and even though he’s believed to be dead, Tim Drake is still taking steps to reclaim his title as the Best Robin Ever. Don’t believe that’s true? Just ask noted Batmanologist Chris Sims. Simple as that. But when Tim was rebooted into Red Robin and leader of the Teen Titans for the New 52, a lot of that energy and magic went away. Suddenly he didn’t have much to do with Batman overall. And now everybody’s calling Damian Wayne the Best Robin ever. Please. Fortunately, even in death, Tim is around to set the record straight, like in this week’s new issue of Detective Comics! It’s all leading towards this year’s big Batman stories, in which the not-dead Tim Drake will hopefully play a big role. But until then, join me after the jump for how Tim proves he’s the best, better than all the rest. 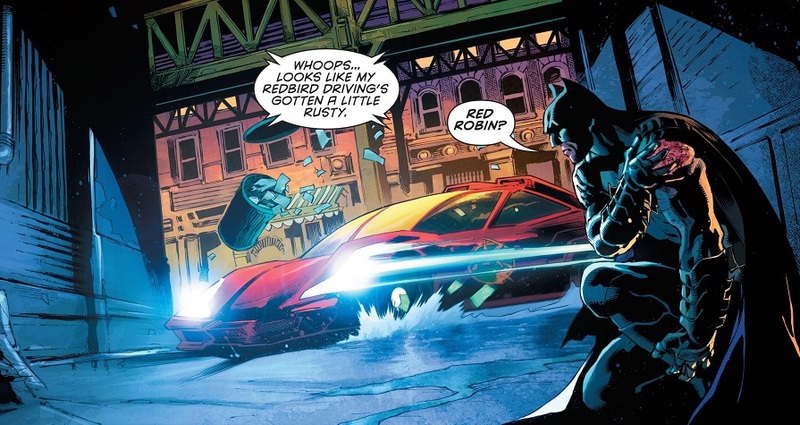 SPOILERS for Detective Comics #950. 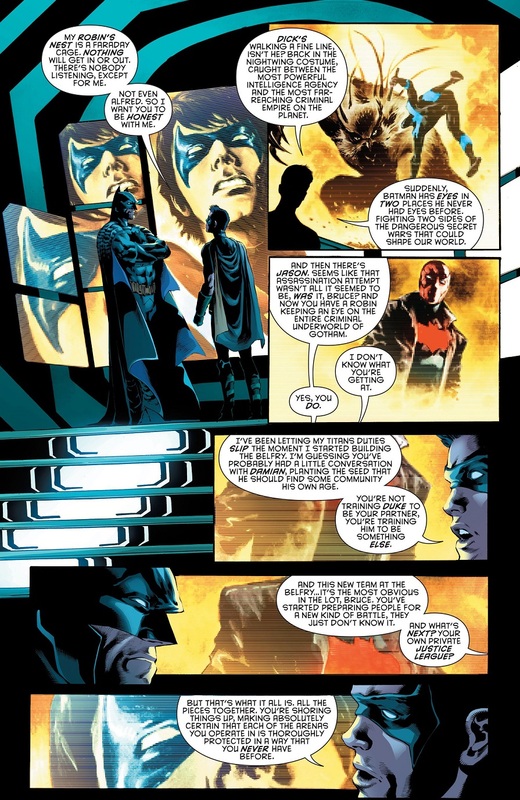 It’s just a short little story chapter in the big commemorative Detective Comics #950. The issue is full of little vignettes for a lot of the characters, and Tim’s story is a flashback to when Batman was first building his new team of vigilante cadets. But Tim, being super smart, has started to put the pieces together for all of Batman’s plans! He reviews all of the various Robins and their roles in Batman’s growing empire. That’s Nightwing taking on both the Parliament of Owls and Spyral. Red Hood as leader of the new Outsiders, with Bizarro and Artemis. Damian Wayne as the new leader of the Teen Titans. And Batman’s new Justice League of America, which launches this week (and while we’re on the topic, it makes no sense for Batman to use the name ‘Justice League of America’ based on the story). Tim obviously has his role as lieutenant of Batman’s cadet program in Detective Comics. But Tim also has the distinction of figuring it all out! He’s the smartest, he sees all the pieces and confronts Batman, who was obviously trying to keep it a secret. But you can’t keep this kind of secret from your best Robin! Tim Drake for the win this week. Just felt like pointing it out. Posted on February 10, 2017, in Comics, DC, Robin and tagged Detective Comics, Red Robin, Tim Drake. Bookmark the permalink. Leave a comment.